It’s time for Three Times A Charm. I love meeting new authors, illustrators, bloggers, agents, editors or promoters from the children’s publishing industry and sharing their careers with my readers. Today’s guest is award winning picture book author, Penelope Anne Cole. Welcome to Strands of Thought, Penelope. Tell us a little about you, if you don’t mind. Hi, I’m Penelope Anne Cole. I’ve taught and tutored at every grade level. I enjoy writing children’s stories for read aloud time. I believe that reading to children is the best way to help them love literature. I have a Multiple Subject Teaching Credential and an M.A. in Education. When I’m not writing stories or reviewing children’s books, I enjoy walking my dog, reading great children’s books, gardening, church and choir activities. 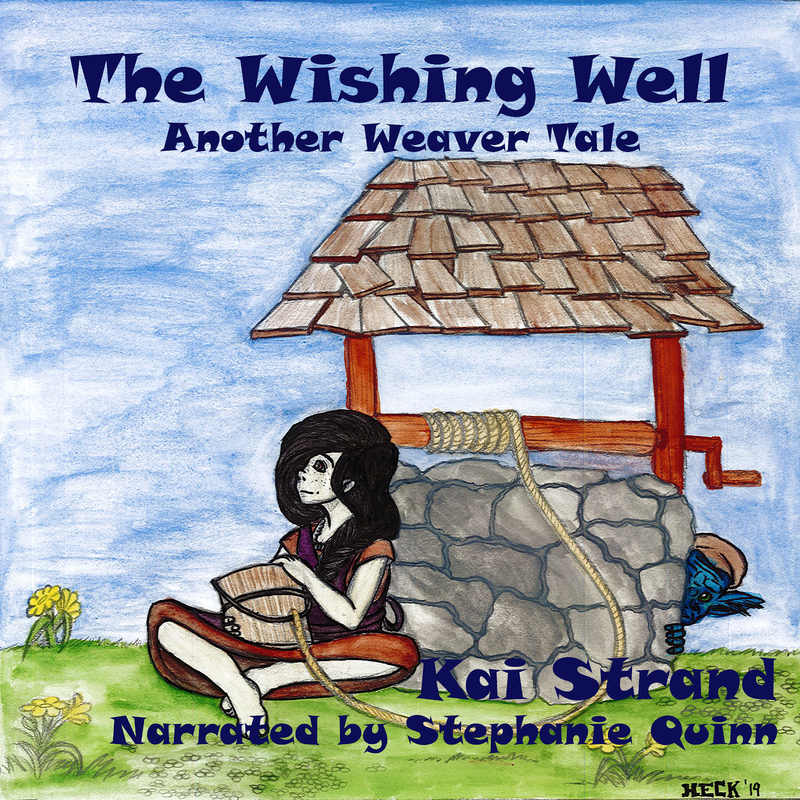 I’m a member of the Society of Children's Book Writers and Illustrators, the Fremont Area Writers of the California Writers Club, and I’m a Certified Reading Therapist with Read America. My book reviews are on my blog at http://penelopeannecole.blogspot.com. Penelope, you are so generous with your reading time. Thank you for supporting your fellow authors by reviewing our books. And speaking of books…I hear you have a brand new release. What’s it about? 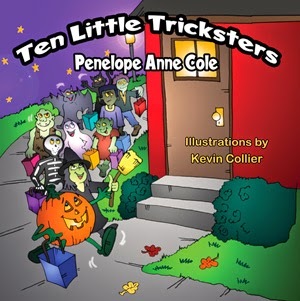 I’m excited to add Ten Little Tricksters, to my published books. It’s a reverse counting book with cute Halloween creatures out trick or treating—for ages 4 to 7. My Magical Series is recommended for older kids, 6 to 9: Magical Matthew, (in Spanish: Mágico Mateo) and Magical Mea. Both books show kids dealing with problems and overcoming obstacles. What would you do with a magical secret power? The next year two more are coming: Magical Mea Goes to School and then Magical M and M.
Lately, I’ve been on a middle grade book reading spree. It’s my preferred children’s literature genre. I adore Kate DiCamillo’s books and have read Because of Winn Dixie, Flora and Ulysses, The Tale of Despereaux, and The Miraculous Journey of Edward Tulane. I also love Judy Blume’s Are You There God? It’s Me Margaret. These are all near perfect MG novels. I have three I’m working on in various stages of revision. As a parent and teacher, I’m usually giving advice to parents. Okay, here goes for kids. (1) I advise kids to go outside more—play, run, explore, go to parks, enjoy the great outdoors. Many kids are inside a lot—some studying, but too many watching TV, YouTube/Internet, playing video games—being entertained. They need to get active to be healthy and be more in touch with the natural world. (2) Please read more great books. There are wonderful books that will open up their minds and imaginations much more than their virtual internet world. (3) Please learn the joy and satisfaction of helping others, be it other kids, animals, or any person in need—volunteer, get involved, and help out. You will feel great—like Matthew and Mea do in my books! Although I’ve traveled all over—the U.S., Hawaii, Europe, even some trips to Asia—I don’t travel much these days. My top three favorite places are parks, bookstores, and my own yard. All Parks are wonderful, either in a natural setting, or one carefully planted and maintained. You can see trees, grass, flowers, animals, and enjoy them all. All Bookstores are marvelous because you can explore the wonderful world of words and pictures. Bookstores are getting fewer and fewer—enjoy the ones we have left. And my own yard is my personal park and retreat. It gets nicer with each new plant, tree, flower, veggie, and herb I plant. Watching things grow is uplifting. Really great advice, Penelope. So, before we all run outside, where can our tech savvy readers find you online? I post book reviews on my Pinterest Board, Amazon, B&N, and Goodreads. It was wonderful of you to join us on this week’s Three Times A Charm. Best of luck to you and your books. Good to have you on the blog, Penny. It's been awhile since your last visit. Best of luck to your books. Sound advice on children getting outside and enjoying the world. Congratulations on your continued success. Hi Donna, thanks for your support -- wishing you much success, too. I agree children need to play in the fresh air, read great books and sit less. Thanks Kai for wonderful posting. Good luck Penny. Your book is a winner! . I still play outside during the summer! Thanks for stopping in, Susan.